This whitewater rafting trip is a once in a lifetime experience. To see the Grand Canyon from the bottom up is a great way to experience the awesomeness of the canyon. Every corner you turn is a new post card. Our guides Lucky and Steph were amazing. They truly love their job and it shows. 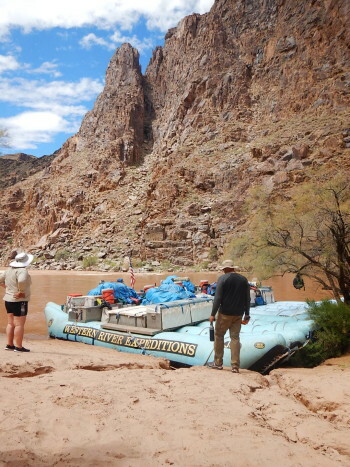 They are very knowledgeable of the history of the canyon and the types and ages of the rock in the canyon. The food was outstanding, the camping under the stars is an amazing experience (we happened to be there during the tail end of a comet, which made for a great show). Make sure to add the Bar 10 Ranch to the beginning of your trip. It's literally in the middle of nowhere and a great experience as well. All in all a fabulous trip and I would recommend to anyone ages 9 and up!